Listen! x Stroom: Sold out! Pablo's Eye are playing @ Les Brigittines - Playhouse for Movement Brussels. 18 APRIL 2019: Pablo's Eye in De Tijd. Bedankt Tom Peeters. Click image to reads full article. 11 APRIL 2019: 'Pablo's Eye, les yeux grands ouverts...' - Le Vif Focus. Thank you Laurent Hoebrechts for this wonderful article. 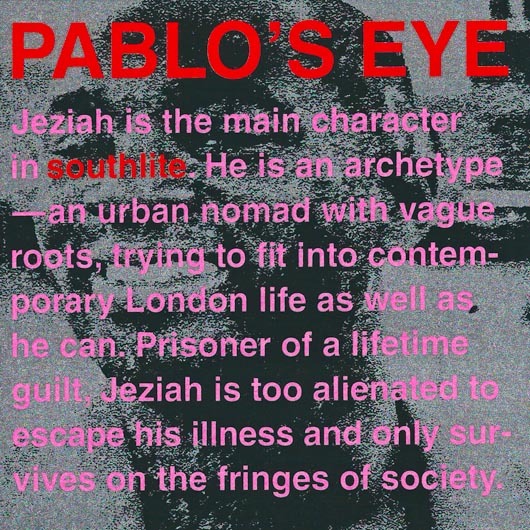 10 APRIL 2019: Pablo's Eye in BRUZZ. Thanks Tom Peeters & Barbara Oorts. 27 APRIL 2019: We will be playing in HELSINKI, FINLAND @ KAIKU. Exciting! Listen! x Stroom: Pablo's Eye 'live'. Les Brigittines - Playhouse for Movement Brussels. Happy to be part of it! 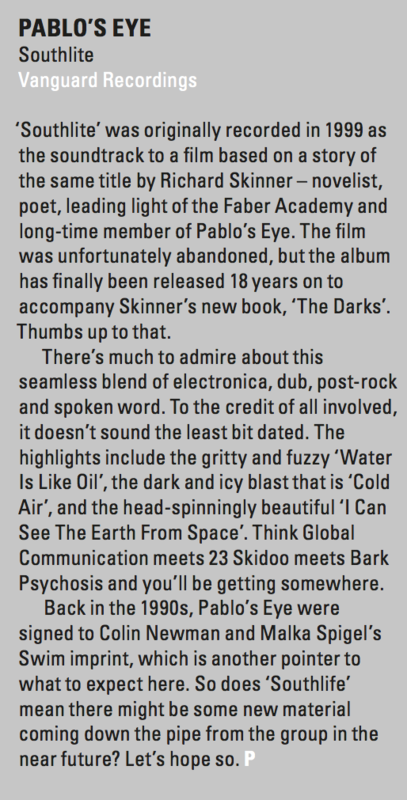 18 FEBRUARY 2019: Glowing review of Pablo's Eye in The Sun Lounge. Thank you Octagon Eyes. Pablo’s Eye we will be playing live in one of Brussels’ most evocative venues: the baroque chapel of Les Brigittines. Axel Libeert & Hendrike Scharmann have been rehearsing hard to create a deep, atmospheric mood and will be playing a summary of Pablo's Eye's legacy as well as brand new tracks. Marie Mandi the 'voice' of Pablo's Eye will make a special appearance. 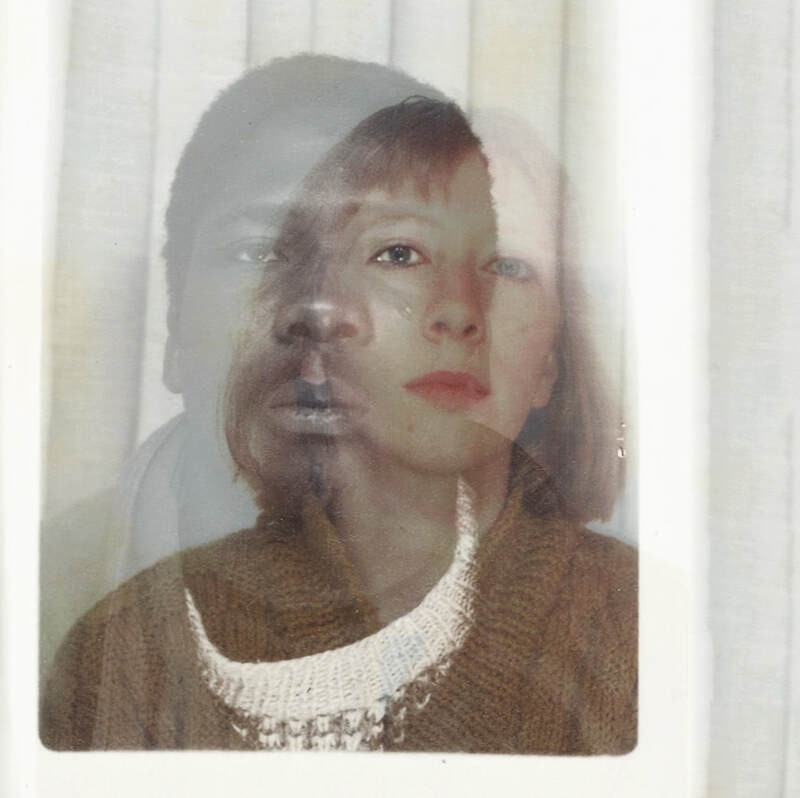 The whole performance will include visuals by Johan Coopman and texts by Richard Skinner. Hope to see you there! 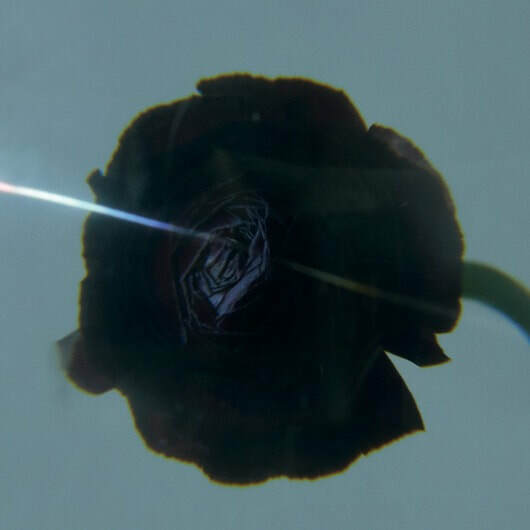 FEBRUARY 2019: ‘Stroom conclude their Pablo's Eye trilogy with the typically diverse and utterly devastating "Dark Matter".' Thank your Piccadilly Records, thank you Patrick. JANUARY 2019: Amazing Hendrike Scharmann aka BAUM has joined the collective Pablo’s Eye. Great to have her on board! Hendrike Scharmann @ GC Pianofabriek 01/16/19. 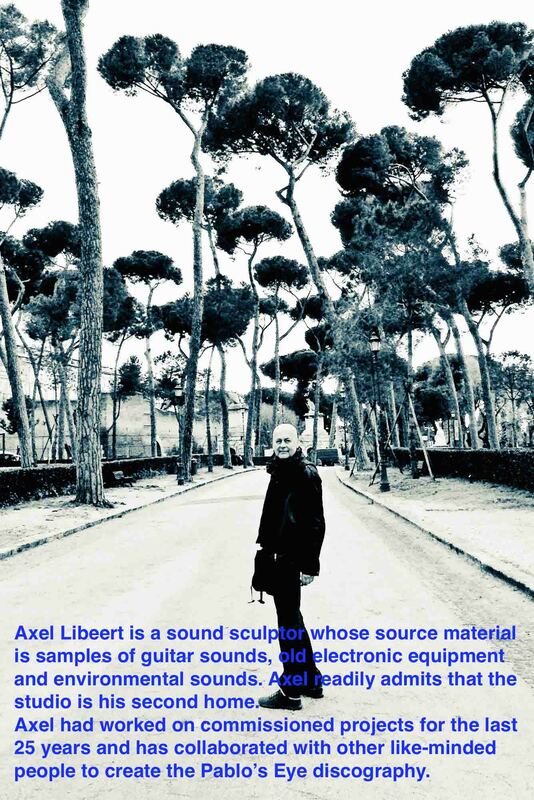 12 JANUARY 2019: Thank you Kevin Krein for your great review of 'DARK MATTER' in Anhedonic Headphones. 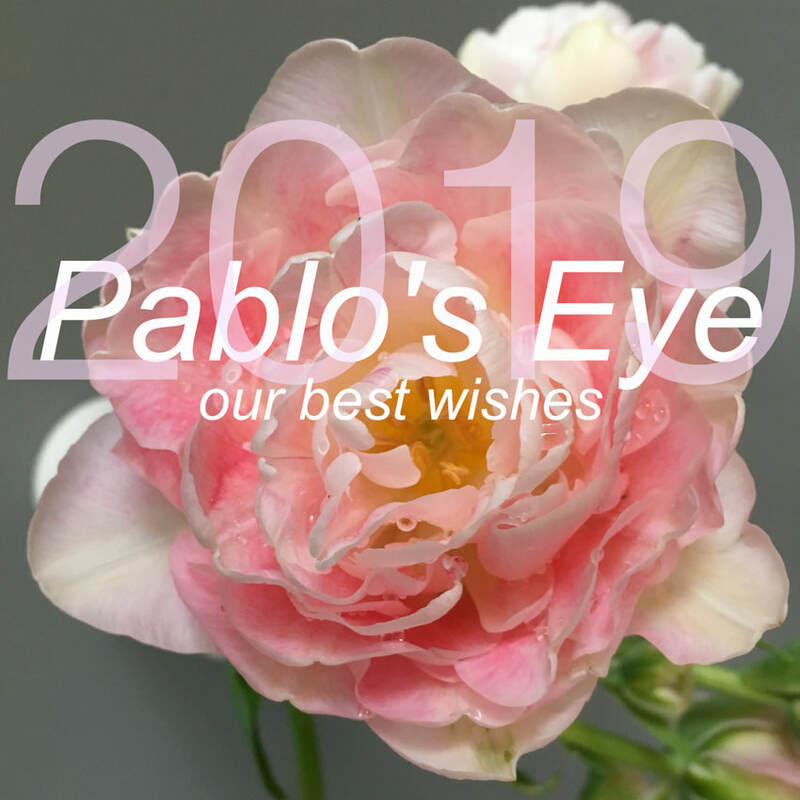 10 JANUARY 2019: Pablo's Eye in KNACK. Thanks Jonas Boel. Click image to read full review. 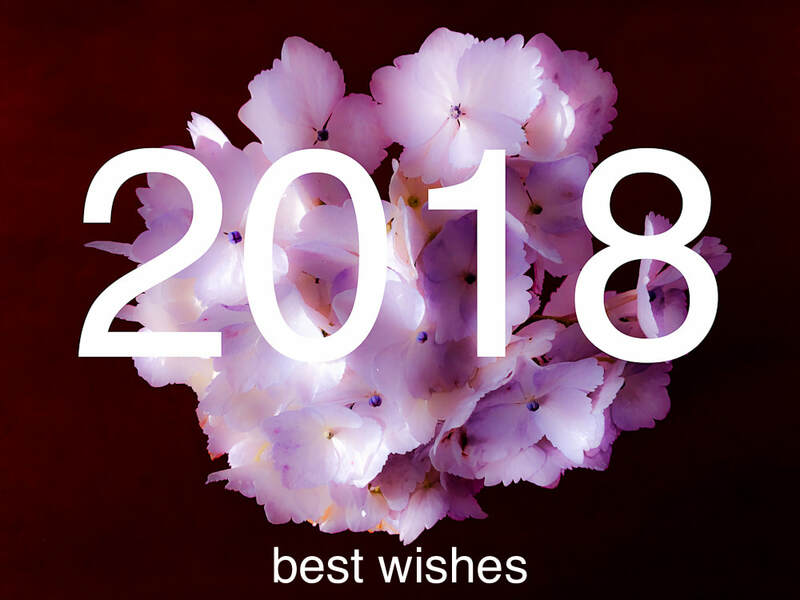 29 DECEMBER 2018: Season's greetings. 6 DECEMBER 2018: Delighted to announce the imminent arrival of ’DARK MATTER', the third and final part of the Pablo’s Eye trilogy of vinyl reissues on STROOM 〰. Out 21 Jan 2019. 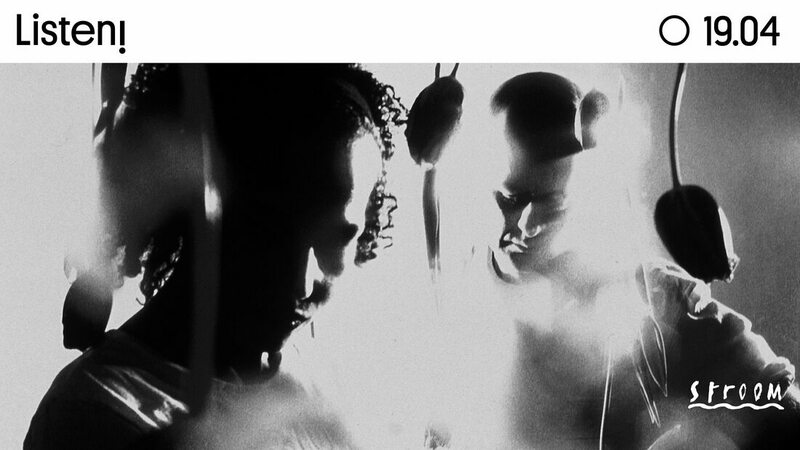 NOVEMBER: Release of 'VAUGHAN OLIVER: ARCHIVE (2 vols.) [Unit 38]' published by Unit Editions (London). 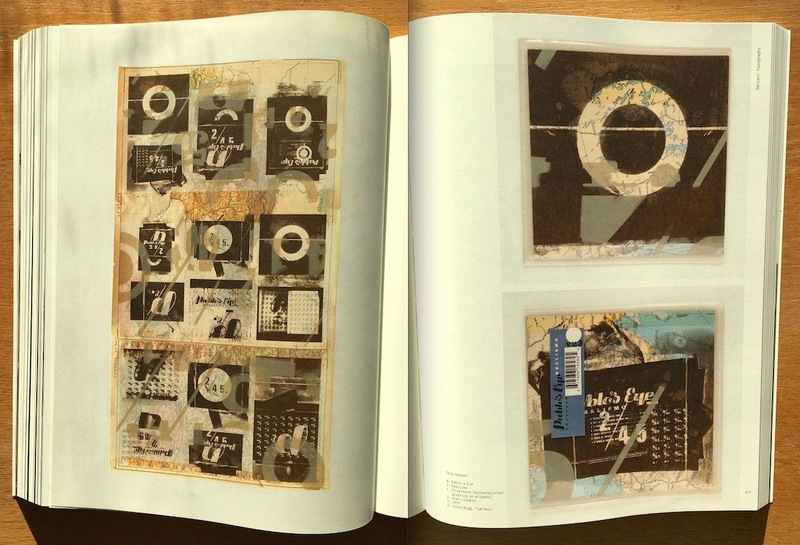 Both volumes offer a celebration of the Vaughan Oliver archive, a treasure house of graphic delights. Pablo's Eye are proud to be part of this amazing project. 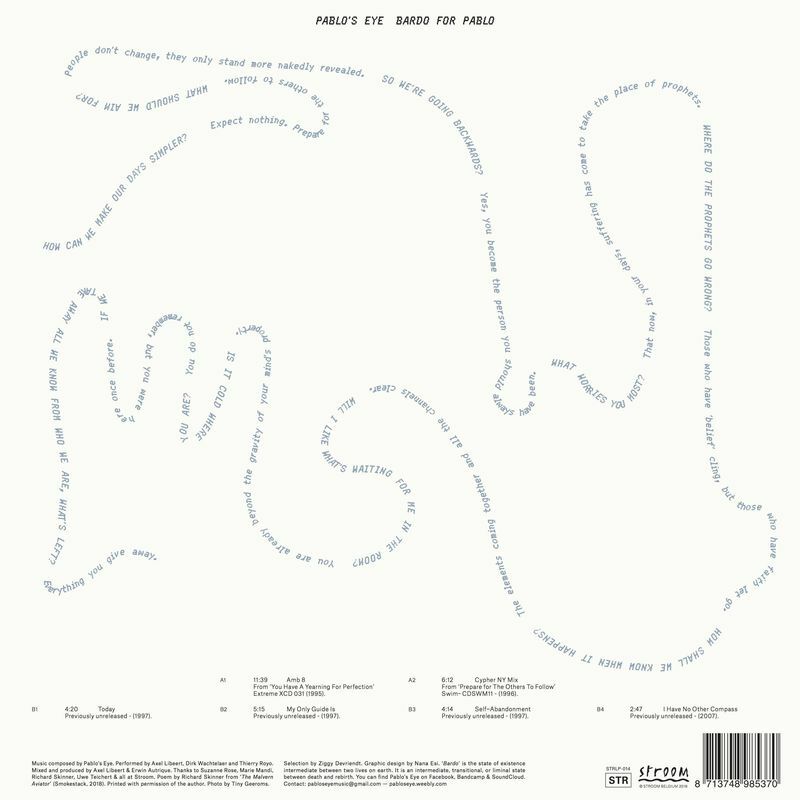 1 NOVEMBER 2018: Pre-Pablo’s Eye track 'Three Friends' by Nightfall in Camp features as a bonus track on The CD version of Uneven Paths: Deviant Pop From Europe 1980-1991 on Music From Memory. 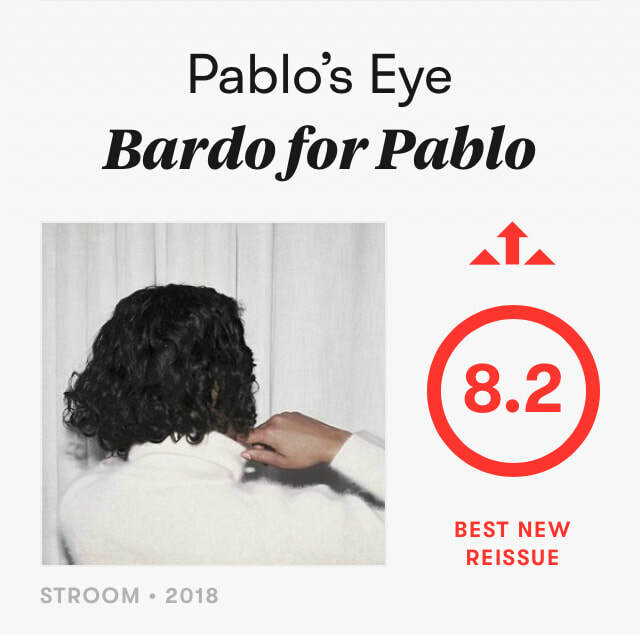 6 JULY 2018: Amazing review of ‘BARDO FOR PABLO’ in PITCHFORK. TUESDAY 8 MAY – SUNDAY 13 MAY 2018: Pablo's Eye at TATE MODERN. PABLO'S EYE at Tate Modern London. Pablo's Eye composed the music for the artist Robert E. D’Souza’s film installation and have used an interview filmed by D’Souza over a single journey recorded in one night through the streets of Delhi. 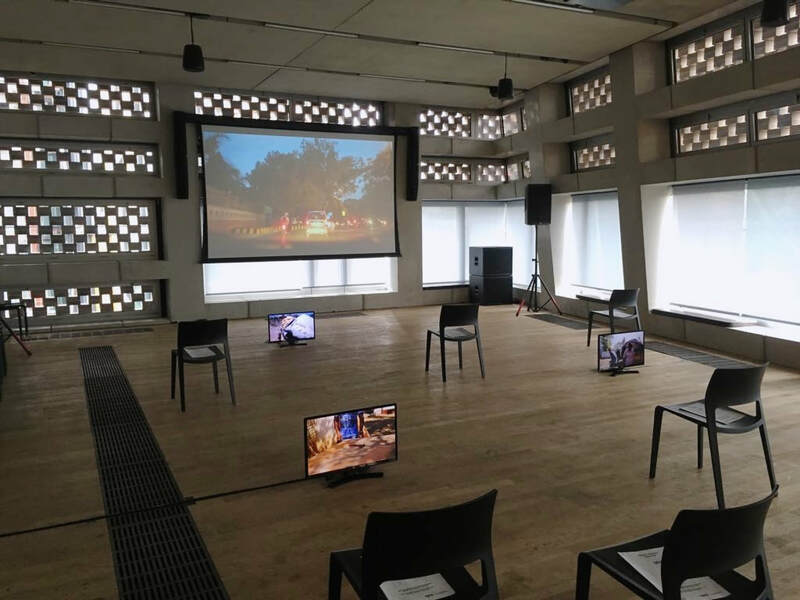 The work titled “Dev” to be premiered at Tate Exchange and extends narrative threads and ideas of migration echoing D’Souza’s 2014 film “Dave”, shown at the Kochi-Muziris Biennale in India. For more information click here. 30 APRIL 2018: Great review of 'SPRING BREAK' by Daryl Worthington from the wonderful Inverted Audio. 16 APRIL 2018: ‘SPRING BREAK’ is out today. 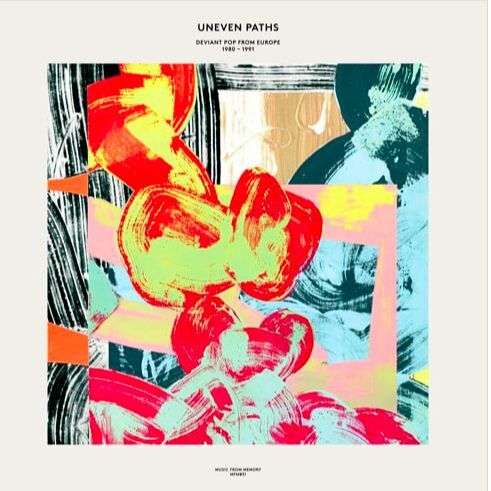 27 FEBRUARY 2018: Pre-Pablo’s Eye track ‘Cada Día’ by Nightfall in Camp coming back to life on the forthcoming compilation MFM 031- Uneven Paths: Deviant Pop From Europe 1980-1991 compiled by Raphael Top-Secret & Jamie Tiller… release date: end of March! 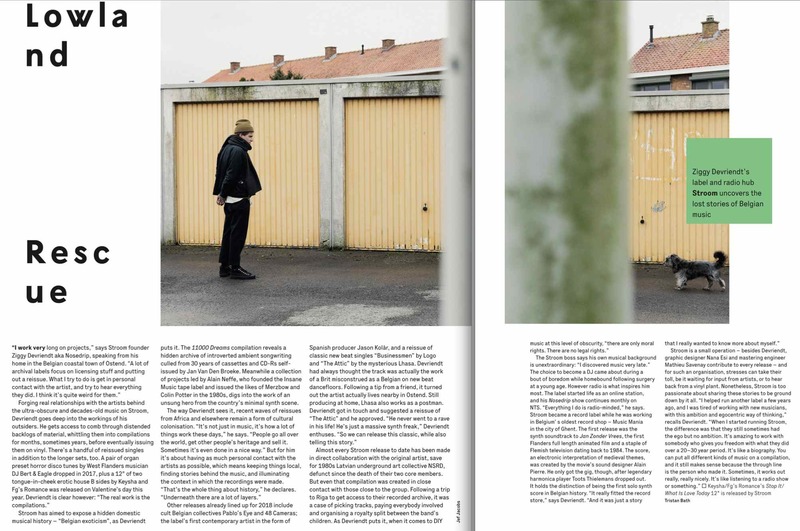 21 FEBRUARY 2018: 'Other releases already lined up for 2018 include cult Belgian collective Pablo’s Eye' says STROOM 〰 founder Ziggy Devriendt aka Nosedrip in the Wire Issue 409 - March 2018. Pablo’s Eye are very proud to be part of Ziggy's adventures with STROOM 〰. 23 DECEMBER 2017: Season's greetings. 7 DECEMBER 2017: Nightfall In Camp is an early incarnation of Pablo's Eye and 'Cada Día' the beloved track by Nightfall In Camp is coming back to life! It will feature on the forthcoming compilation: Uneven Paths: Deviant Pop From Europe 1980-1991' © 2018 on Music from Memory to be released in March 2018. Watch now the video of Cada Día by Nightfall In Camp directed by Johan Coopman. 19 NOVEMBER 2017: New website just launched - enjoy the world of Pablo’s Eye! 28 OCTOBER 2017: Listen now on Pablo's Eye's Soundcloud page, “A.M.” (Pièce pour violon et un avion qui passe). Dedicated to Patrick Robyn. This music was used for the opening of the fashion show Fall/Winter 2004/2005 Ann Demeulemeester @ Carreau du Temple, Paris. SEPTEMBER 2017: Release of 'southlite' the new CD from Pablo's Eye on Vanguard Recordings. You can read 'southlite' press release here. 21 SEPTEMBER 2017: At the launch for 'southlite' @ Louie Louie in London. From left to right Richard Skinner, Jacqueline Crooks, Marie Mandi, Axel Libeert & Jo Hagan. 18 AUGUST 2017: Listen now on Pablo's Eye's Bandcamp page, a previously unreleased track, 'Le Quattro Volte'. 24 JULY 2017: Now up on Pablo's Eye's Bandcamp page listen to 'Vassall Road' a brand new track.